BBC Radio 4 - The Media Show, Black audiences; Moderating online; The end of Millionaire? Black audiences; Moderating online; The end of Millionaire? Chris Tarrant retires from Who Wants to Be a Millionaire, the risks publishers face when allowing online comments, and could broadcasters do more to serve black audiences better? Yesterday, the BBC DG Lord Hall was asked what the BBC was doing to improve programmes for black audiences - he said he wasn't satisfied the BBC appeals enough. 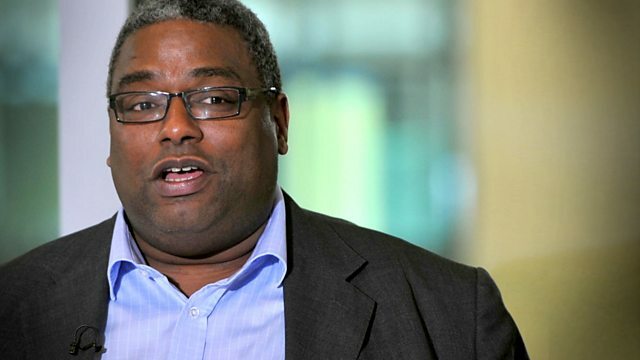 Steve asks Pat Younge, the BBC's most senior black executive, how big a problem there is for black viewers. Journalist Bim Adewunmi and Simone Pennant of The TV Collective, a former TV producer, discuss whether the main channels need to change. A recent ruling in the European Court of Human Rights has given cause for concern to publishers of online comments. It suggests that publishers have editorial control over comments and should prevent clearly unlawful ones from appearing. The current practice is to take down comments once notified of a complaint, though the extent to which complaints are investigated first differs from one publisher to another. Law consultant David Banks looks at the laws and Justine Roberts, founder of Mumsnet, considers the implications. And Chris Tarrant is to retire from Who Wants To Be A Millionaire, 15 years after its launch. ITV confirms that it has no plans to make further special programmes, beyond those already in the pipeline. David Liddiment, who commissioned the show for ITV, looks back at the launch and why its initial success was far from guaranteed. Is the BBC doing enough to service black audiences? With David Banks, media law consultant and Justine Roberts, founder of Mumsnet. With David Liddiment who commissioned the programme for ITV fifteen years ago.